A new police Captain arrives at the Gotham PD to clean house and form a new special task force, while Galavan attempts to bring Penguin in on his plan for Gotham’s future. Galavan introduces Bruce Wayne to a new friend, and Nygma asks Ms. Kringle to dinner. 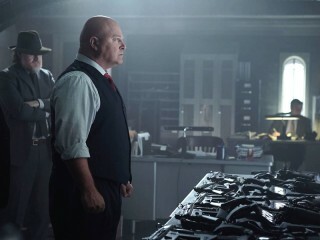 Michael Chiklis Joins The Cast of GOTHAM!